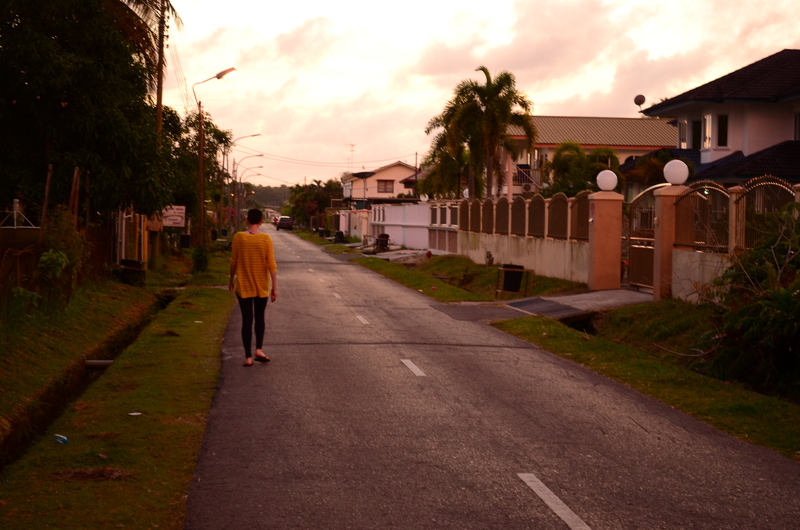 This weekend marked exactly one year since I arrived in Brunei. And of course this milestone got me thinking. As with many things in life, it has both seemed ridiculously fast, and quite slow. I feel like I haven’t done much or achieved much, but when I look back, I realise just how much has actually happened. April 2013 was still settling down. We joined the Panaga Club, and visited Miri for the first time. I attended a wonderful yoga course, and really got into my home yoga practice. I spent time with Jo from Summertime Publishing, and started thinking about writing my novel. In May 2013, we started our first round of fertility treatment in Brunei at JPMC. I didn’t write about it, because it was pretty personal and I was scared of the outcome. But with all the appointments, it took up a lot of my time and most of my mental energy. We also had a lovely weekend away in Ulu Temburong National Park and I started writing more and more. June 2013 was mostly spent preparing for upcoming trips. We had a mini break to Labuan, where we ate wonderful seafood and lots of ice cream. I wrote more and more, and I shaved my head for the first time. Then we had a fantastic visit from The Engineer’s parents. We celebrated his 30th birthday, explored Brunei a bit, and spent some time in Kuching. We went to the Rainforest World Music Festival, and vowed to return in 2014 (a vow we will be unable to follow through due to the whole pregnancy thing). I didn’t write much about all these great things, and I don’t really know why! We got back from our trip and farewelled our visitors in early July 2013. And a couple of weeks later, I was off again. This time to South India with my little sister. It was a wonderful and life changing trip. We did yoga, and travelled as slowly as you can in a two week holiday. I loved the sights and sounds, and learned just how much I tend to overpack. We got stared at everywhere we went, and travelled everywhere on bumpy local buses and ferries. It was amazing. July was also our first Ramadan in a Muslim country. We enjoyed learning about the traditions, and we especially enjoyed the wonderful food markets just around the corner from our house! Two days after I got got back from India (now in August 2013), we headed off to the Philippines. We had a whirlwind trip around Palawan, and absolutely loved snorkelling in Coron. It inspired us to do our dive training. But unfortunately we didn’t manage to book a course in before I got pregnant, so we have had to delay it. The Engineer hopes he might be able to do it soon (fingers crossed). After a bit of a break, we were back into fertility treatments that month, and along with trying to settle back into life after all that time away, we were kept pretty busy. In September 2013, I didn’t blog much at all, and I don’t really remember what the heck we were up to. I got some exciting mail from home (although it was a bit delayed). We went to a parade for the Sultan’s Birthday (though we didn’t last long in the rain!) We finally got our Identification Cards and Drivers Licenses. We basically just lived our ordinary lives. I guess six months in you’re starting to form some habits. October 2013 was more of the same. It turns out ordinary life is pretty nice. I had some choir concerts in BSB, and we spent a couple of weekends up there exploring and finding our way around a bit better. We had yet another round of treatment, and it worked! (Although we didn’t share the news until a bit later). I started a Bridge course, and life carried on as normal. January 2014 started with a bang. Literally. The fireworks in Thailand were insane. We did a bit more exploring, and finished off our trip with a cooking course. Then I finished the trip by getting bitten by a dog. Not ideal! The bite basically had me on bed rest for the rest of the month (apart from one hideous morning in the local hospital trying to get my rabies injections sorted). We did get to announce my pregnancy, though. It was lovely to see so much excitement about the news, and great to have people aware of why I had been so useless! We also had a whole lot of rain. Never ending, giant rain. The rain ended in February 2014. I was off bed rest from the dog bite, my sickness was pretty much gone, and life was finally back to normal again. We started shopping for the baby, and visited a lovely cafe in BSB. We bought a new (to us) car, and I continued with Bridge playing, piano lessons, and swimming. I also started a pre-natal yoga class, and met some lovely ladies through that. We took a trip to Miri, and visited the Borneo Tropical Rainforest Resort. We spent a whole lot of time by the pool. But mostly the month was very quiet and relaxed. We have definitely found our feet in Brunei. The early days of March 2014 have been a bit of an extension of February, but with a few more offshore visits for The Engineer. This has kept us on our toes, and has meant some very early mornings. It has been nice to be back in a bit of a rhythm though, and we plan to enjoy that before our lives get turned upside down this July. And that was our first year in Brunei. All written out, I can see just how much has happened. 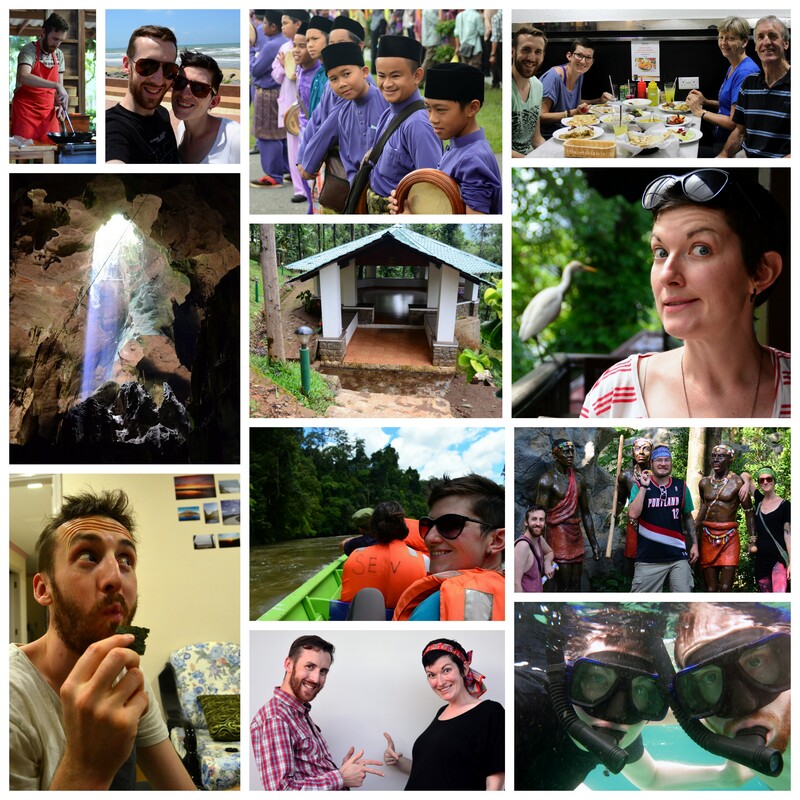 And all this has happened alongside learning a completely new culture and way of life. It’s been a year of adventures with an amazing dude by my side, and I hope that the next year just brings even more! Before we came to Brunei, one of my biggest concerns was driving. I had never driven in another country, and had only regularly driven one (great) car. I am a fine driver, but not super confident. Plus, in my pre-research, there were quite a few references to “taking your life in your hands” on the road, and other such implications that it wasn’t going to be quite as calm and easy as New Zealand. I had visions of the hectic and crowded roads of Asia that you see and hear about (and that you find in places like India and Vietnam). So when I arrived, I was very pleasantly surprised to find that the roads were actually pretty similar to New Zealand roads. We drive on the left in both places, and as far as I can tell the rules are basically the same (I should probably know that more definitely than I do). There might be a few more people tailgating and overtaking here, but I am definitely not scared to drive. All that said, getting out on the roads of Brunei has still been a bit of an interesting experience, so I thought I’d do a few posts on it. And what’s the first step of getting out on the road? Getting a car! Me walking along the road we live on. Note the distinct lack of traffic and scariness! There are two main ways to get a car. Renting a vehicle, or buying. Neither way is particularly cheap, but there are bargains to be found either way (which was important to The Engineer and me – we are both pretty stingy car buyers). We have actually done both. Renting a car was our only option when we first arrived (and in fact for at least 6 months after), because you need to have fully completed immigration and have an Identity Card (IC) in order to buy one. Through a few bureaucratic glitches, we didn’t get our ICs until 6 months after I arrived. So we rented for quite a while. It was easy, and we didn’t have to deal with anything much, which was quite nice! Renting isn’t cheap though. We paid $400/month to rent our car, and that was definitely at the cheapest end of the spectrum. We actually had a couple of different cars from our rental dude. Both silver sedans, both pretty boring, both met our needs. When The Engineer rang to sort it out, he got something delivered to him quickly and easily. The process was very simple. We didn’t even sign a lengthy agreement or anything, just paid and went (that could have been a mistake, but fortunately didn’t actually present any issues). One thing to note if you’re renting: get a letter from the owner of the car to say you’re allowed to drive it. You need this for crossing the border. And you definitely want to cross the border. After a while the cost of renting started to seem a little crazy. So once we had ICs sorted, we decided it was time to buy. Buying is a little more complicated than renting, but still not a very difficult process. (Although I have to admit that The Engineer did all of the paperwork for the buying process, so he might be better qualified to talk about difficulties). We didn’t even look at buying new or from a dealer, so I can’t tell you anything about that. But the private secondhand market is quite interesting in Brunei. There are a lot of quite flash and quite expensive SUVs and high end cars around. There are also a fair few old clangers with a LOT of miles on the clock. What is harder to find is something in between, which (unfortunately) is what we were after. The most popular option is the Toyota Vios, and they seem to hold their value very well (which pushed them a bit out of our desired price range). We kept our eye out on various Facebook Buy and Sell pages, and on the side of the road sales, and eventually found another silver sedan to add to our collection. This one is a 2004 Ford Focus, which seemed to fit the bill for a good price (expect to pay $5000ish for a reasonable 10-year old car). Exchange with the previous owner (we paid, got the blue ownership papers, and signed an informal contract of the agreement). Transfer insurance (requires a visit to the insurance office, and some forms to be completed by the previous and new owners – would be easiest to complete these forms at exchange). Transfer ownership at the Land Transport Office (requires copies of the car ownership papers, ICs of previous and new owners, and a small fee. For older cars there is also an inspection). And basically, that’s it. It’s not quite as simple as the same process in New Zealand, but it really wasn’t a big deal. And once those three steps are done, the car is yours and you can get on the road.